A vision and eye health exam is the first test your child needs to pass for school! Regular eye examinations are necessary for all children – even if you haven’t noticed signs of a problem and even if your kids aren’t complaining about their eyesight. The connection between vision and learning is strong, and an undetected vision condition could lead to developmental delays and problems in school. At Visionary Eye Care, we want to help your child make the grade! We encourage all parents to bring children for routine eye exams with Dr. Graves, to benefit from our special combination of expert eye care services and a warm, welcoming atmosphere. With a gentle, friendly approach, we’ll perform a thorough pediatric eye exam to inspect for any abnormalities in your kid’s visual system. 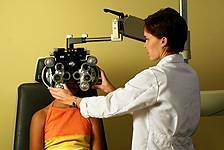 Using the latest optometric equipment in our Fair Lawn clinic, we’ll assess ocular health and visual skills that are necessary for effective education, such as eye-hand coordination, binocularity, peripheral awareness, eye mobility and accommodation/focusing abilities. When should you schedule your child’s eye exam? In line with guidelines set by the American Optometric Association (AOA), we advise our patients to have their kid’s first eye exam performed at a half-year old. Following this is a second exam at 3 years old, and then at age 5-6, before entering school. If no vision correction is required, then follow-up eye exams can be done about every two years. However, if your child needs eyeglasses or contact lenses to achieve sharp vision, eye doctors generally recommend annual eye exams. What happens during a kids eye exam in Fair Lawn, NJ? We look forward to meeting you! When you arrive at Visionary Eye Care, we’ll sit down and get to know each other. This is the time to share your child’s case history, including any medications, allergies, perinatal history and any family eye conditions. If you have any particular questions about your kid’s vision, we’ll answer them patiently and comprehensively. 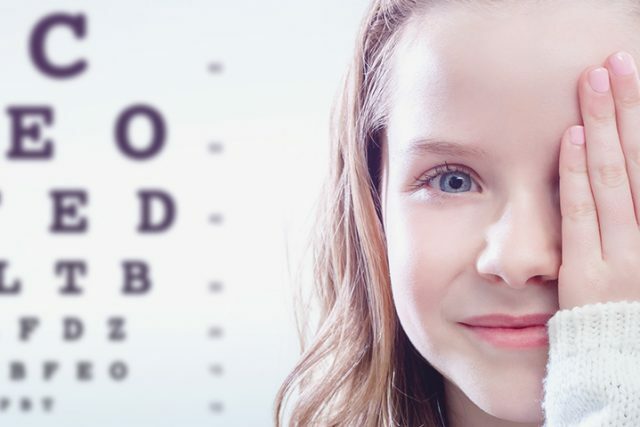 Our pediatric eye exams are customized to match the age and developmental stage of your child. Many parents tell us that they’re concerned we won’t be able to adequately test their preschoolers vision before s/he has learned the alphabet. Or they know that their child may be too shy to answer Dr. Graves and give accurate feedback when viewing an eye chart. There’s no need to worry – we have many diagnostic tests that can evaluate vision without your child reading aloud from a standard letter chart. In our Fair Lawn office, tests include showing your child LEA symbols, such as a house or circle, and using patterns of dots (random dot stereopsis) to evaluate eye teaming. With retinoscopy, we’ll shine a light into your child’s eyes to observe how it reflects off the retina, which helps us to determine refractive error. What are examples of common diagnoses made during a pediatric eye exam? The most usual vision conditions that we detect in our Fair Lawn practice include nearsightedness, farsightedness and astigmatism. However, there are a range of other eye problems that may be diagnosed in children. Amblyopia, often called “lazy eye”, is often found in kids, and we may recommend patching the stronger eye. Strabismus is another typical finding, and surgery may be advised to correct this weakness or misalignment in the eye muscles. 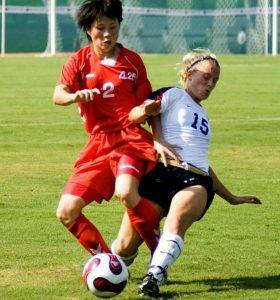 If we pick up on a problem with depth perception and coordination, weak eye teaming may be to blame. Another common problem is a difficulty with accommodation, which often manifests itself as a problem with reading. Reading may also be a challenge if your child has a convergence insufficiency, which impacts eye alignment so that tasks done close-up become very challenging. Vision therapy and eye exercises are often prescribed as a way to treat many of these ocular conditions. It’s important to us that your children (and their parents!) have a positive, pleasant experience with eye exams at Visionary Eye Care, in our Fair Lawn office.